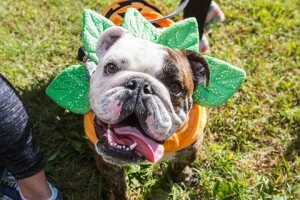 Jacksonville’s festival will include everything from treat stations, field day games, craft tents and doggy massages to adoptable meet and greets, food trucks and a kid zone. Make sure to stop by the exhibitor tents to support local business and spoil your fur children! The event takes place at Riverside Park (753 Park St, Jacksonville, 32204) and registration opens at 8 am. The walk starts at 9 am and the event goes until 12 pm. Participating Network Partners include First Coast No More Homeless Pets, Jacksonville Humane Society, Plenty of Pitbulls and more! For more information or to donate to this amazing cause, visit support.bestfriends.org. Jacksonville’s fundraising goal is $145,000 and they already have over $47,000 donated! Volunteers needed, too!